In this book you will find information about Norse mythology. Norse mythology, or Scandinavian mythology, is the body of mythology of the North Germanic people stemming from Norse paganism and continuing after the Christianization of Scandinavia and into the Scandinavian folklore of the modern period. 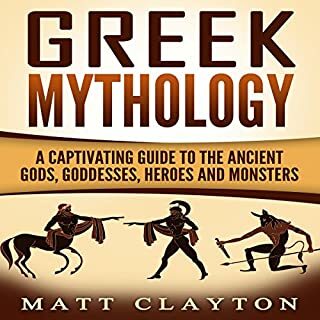 This book contains a brief but unconventional look at the Titans and Olympian gods of Greek mythology. Brief, because a thorough treatment of these legendary super beings could take thousands of hours. Unconventional, because digging for truth is far more interesting than reciting old stories which have little relevance to us today. Attempting to reveal some semblance of truth brings the stories to life. It gives them relevance to our modern world. Here, we will look at many of the more fascinating stories. The tales of the Norse gods, of the giants, demons, trolls and dwarves, still have the power to fascinate more than a thousand years after they were first told. Here are the stories of the one-eyed god Odin, Tyr the god of war, of the cunning Loki, of Thor the mighty thunder god and a host of others. 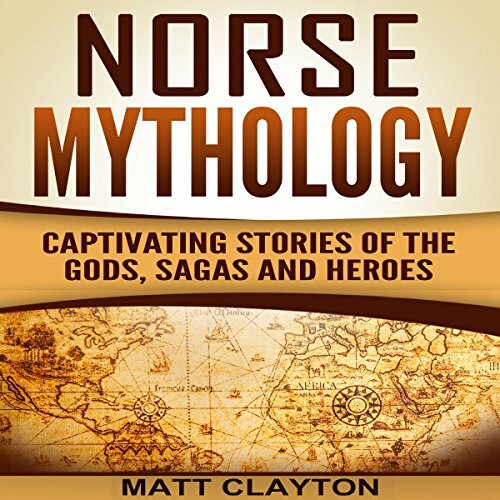 This audiobook gives an overview of Norse mythology, telling some of the stories of the gods, giants and other creatures of that lost era before history began. Though the world came to know of the Norse and their legends through Roman interaction at about the time of Christ, most of what we came to know were handed-down from folk tales gathered by native writers like Snorri Sturluson (c. 1179 - 1241). This was from a time when the Norse had already been converted to Christianity. Some of what Sturluson wrote was clearly influenced by Christian beliefs of the time. As with all sources, we have to assume at least a little bit of bias was involved. The age of belief in the Norse gods had ended. We can only guess how much of those old beliefs were left out because they may have been incompatible with the new beliefs of Christendom. Sturluson gathered the tales in a work now known as the Prose Edda. Several anonymous writers of the pre-Christian era created poems which have collected in what is now called the Poetic Edda. These pre-date Sturluson's work and thus are far more likely to give us insights into the thinking and attitudes of the early Norse people. Danish scholar Saxo Grammaticus gave us a Latin language version of Danish history, Gesta Danorum, written in the twelfth century. But even earlier, we have more matter-of-fact writing of Roman historian Tacitus in the first century, discussing the tribes of the region they called Germania. As with most stories, it's best to start at the beginning. And as with any story of gods, we start with the Norse version of creation. Very interesting if very dry. I'm reading Children of Odin to start with and it leaves a lot out so this answered several questions I had. Such an interesting subject but it is very hard to get into due to the amount of material, and the different versions of stories, so this was helpful. What higher praise is there? Never a dull moment-intriguing history, and fascinating story about Norse Mythology. By the way, I already have started Book 2 of this series. What is higher praise there? 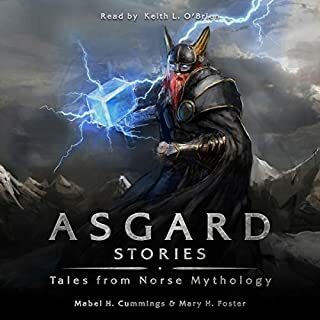 I found this audible narrative to be a charming introduction into Norse mythology. It's perfect for anyone who has a desire to know more about the current pop culture's origins. I'm a big history buff especially of that time frame. Always looking to hear new and interesting stories surrounding Norse mythology. This one did not disappoint. Highly recommend picking this one up. Great work! Norse Mythology has a full of stories on their myths, gods, and goddess. In this Audiobook, we can surely some basics history of their myths. Norse Mythology is my fresh choice points to hear and required to search further. I highly suggest this book to all who love Historical stories of Gods, Sagas, and Heroes. Loved this Audiobook! Not only is it so informational, it's pretty exciting. Loved how each chapter started with a story about the historical Celts. If you desire a happy way to use an evening - and need something to boot - this is your book. 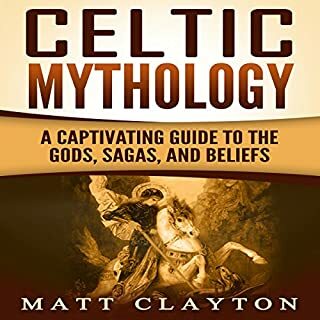 This Audiobook has covered the basics of Mythology and all the major stories. I checked it out at the library and loved it so much that I got it. That is saying a lot. If you can only have one Audiobook on your shelf, this is it. A superbly composed book that is excellent for those knowledgeable of Norse mythology and a great opening for those new to it. I would recommend anybody requiring Stories of the Gods, Sagas, and Heroes this book first. So far, i'm happy with it! 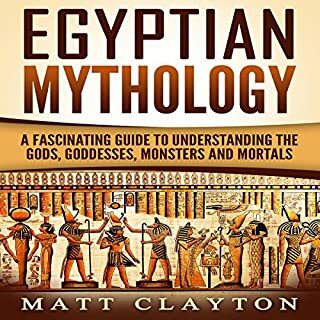 You will yet need to really the Eddas and Sagas, but this book gives you a good synopsis as to what each is about and what main gods belong to which race and a short bio on each one, with sections on The Creation and a few other sections.So far, I'm happy with it! This really was wonderful to hear!! I had a small amount of historical knowledge of Norse mythology before hearing this book up, now I understand like I get the why of what a lot of their actions and motives for bringing such original story tellers!! I would say this is the final book on the subject. Overall a great book, but a bit short and quick. Sometimes short and sweet is what you get though! Where does Norse Mythology rank among all the audiobooks you’ve listened to so far? 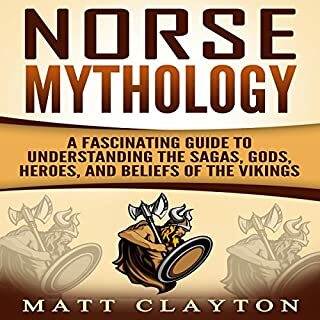 This book is a great introduction and overview of Norse myths and mythological figures. The author retells and adds his flavor to some of the classic, fundamental Norse myths and stories. I really enjoyed this book, my only regret is that it isn't longer! I think it would be a great choice to listen, as a "story before bed" book or live reading. It also makes an excellent companion to the Author, American Gods, as it helps to flesh out and provide background to the Nordic gods featured in that book. This is an amazing package to learn about Norse Mythology. It is concise and comprehensive guide I recommend it. I'm a fan of Viking themed movies and series but short on knowledge of the mythology that figures so prominently in these stories. Author’s engaging book painlessly brought me up to speed on the mind-bending adventures of Odin and company. Great read. This author has done it again! Given my Viking heritage it's always fun to read the myths of my ancestors and this just became my new favorite interpretation of these myths. The tales of the ancients, in the voice of a phenomenal story teller. Great book if you like Norse Mythology, and more-so if you're a fan of Neil's. These are heavy tales to tell, and the author does a masterful job of detailing and defining Who, Where, and Why these myths are vital to the entire fabric of storytelling. A great work by the author. The love of the subject is apparent throughout the stories. Encounter the Norse Gods as they venture throughout their world. Relate these tales to modern life and learn lessons that only the Gods can teach. 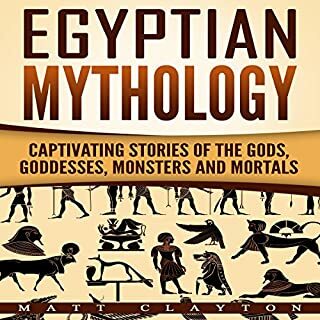 If you are an avid fan of mythology or just venturing into this area, this book is a great for you. Simply magnificent! This book is the best re-telling of the Norse myths, and is this author at his best. The tales themselves are nothing new, but author’s writing eerily elaborates in his telling to make them real! This book is a must to be included in any collector of the author's writings. This was a very fast and easy read. It was nice to hear the stories in another version. I enjoy how he writes and I had fun imagining what was happening. I also like the small humor that pops in every now and then. I've been a fan of Norse mythology so this book was up my alley. This is a great collection of Norse mythology. The stories have the perfect balance of adventure, drama, and humor. Mythology gathers some best stories produced by mankind, in all cultures. The Norse have some of the most exciting, entertaining, imaginative stories in the world. Concise, clear, easy to follow storytelling makes these stories excel. A truly wonderful book.